have difficulty in brushing their teeth by themselves. 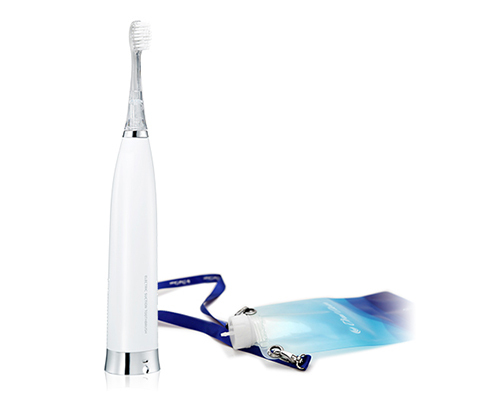 What is Electric Suction Toothbrush OralClean G100? who are unable to practice oral hygiene by themselves, due to the sickness, disability, or injury. on the top of the brush. It provides a whole new brushing environment to people who have hard time moving and to their caregivers. through the brush enabling the caregivers to clean the oral cavity more efficiently. It protects the gum and provides effective cleaning power at the same time. 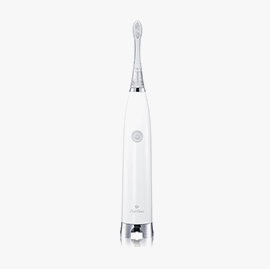 The light emanated from the LED gets transmitted into the oral cavity through the transparent brush head. When you brush care-receivers’ teeth, it brightens up the dark area of their mouth where you can’t see well. 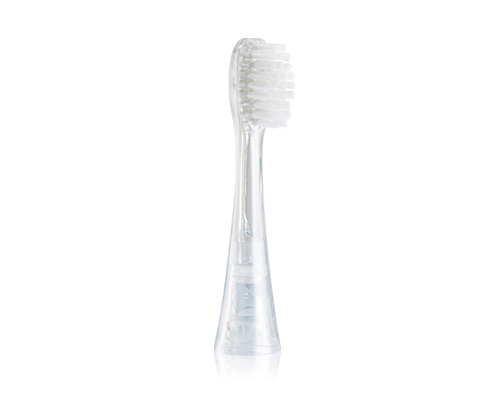 Soft and antibacterial bristles help caregivers to provide hygienic oral care. Caregivers can replace the brush heads to take care of multiple care-receivers. on the bottle for their convenience. 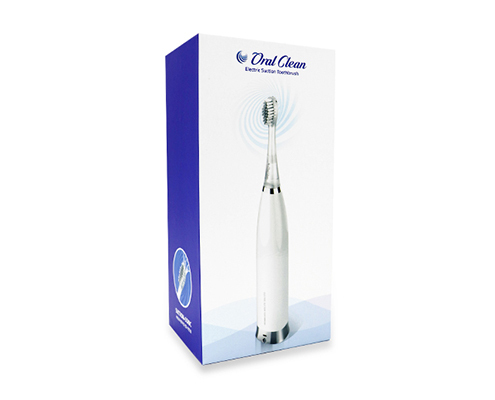 With just one button, you can easily switch the sonic vibration and suction function, so you can easily finish brushing care-receivers’ teeth. if you press the button for a long time. OralClean G100 is made to be water resistant so you can use it safely even when it touches water. Notice :Please close the charging cover while using it. With the integral cradle, you can easily stand the device anywhere. You can charge the device by connecting a charger into the charging port located on the bottom part of the product. When it lacks battery, the white LED light flickers to alarm the user. The red LED light turns on when it is charging, and when it is done, the green LED light turns on. The transparent brush head can be separated from the main body to be replaced. With just one main body, user can take care of multiple people by easily changing the brush head. We increased the soft tongue cleaner’s size considering the user environment. We made sure that the care-receivers won’t have any damage even when they accidentally chew the brush. After cleaning and drying it by opening the cover, you can easily store the bottle by folding it. By using its own neck strap, you can hang the bottle on your neck. Also, you may use the attached ring to hang it on clothes or anything near it. 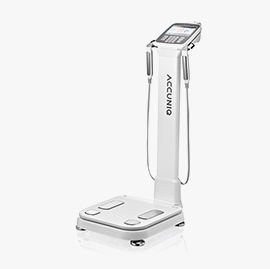 You can hygienically discharge the gargling water through the silicone tube which is harmless to the human body. 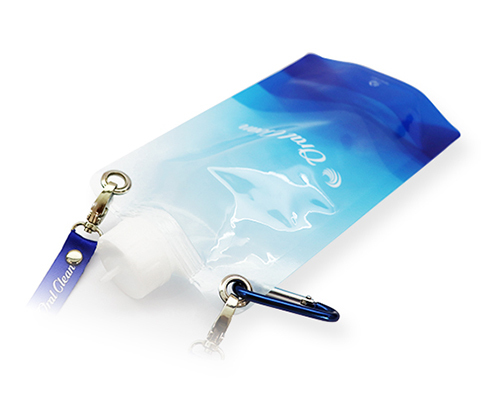 You can use it by connecting it into the nozzle located on the bottom part of the product and the nozzle of the foldable bottle.